HOTEL AND RESORT MARKET - The Rough Notes Company Inc. When I think about hotel and resort risks, I look no further than the Happiness Hotel, the run-down London-based establishment featured in Jim Henson’s The Great Muppet Caper. The Murphy beds spring back up into the wall without warning—the vibration causing the hanging light bulbs to fall and break—a taxicab driver crashes through the front door to drop patrons off in the lobby, and the most common method of payment is to “sneak out in the middle of the night.” Of course, the Happiness Hotel is fictional, although I wouldn’t mind just once having puppet rats carry my luggage. Real ones need not apply. (Shudder). In today’s soft market in the hotel and resort niche, there are plenty of issues and claims drivers that agents should recognize. Other exposures arise by chance, like those caused by acts of nature. When natural disasters strike, business interruption is likely to follow. “We make sure that we’re in tune with our brokers and our clients when it comes to business interruption insurance,” says Welty. “We reach out to ensure we understand what their bank loan requires from an interruption standpoint, to determine whether they need business interruption coverage for 48 months as opposed to 24 months to meet specific bank loan agreements. In the busy marketplace, conflicts can arise during acquisitions or mergers. Hotels and resorts provide not just a bed to rest your head but everything from food and beverages, shuttle service, entertainment, sports, spas, and more. Each of these exposures must be covered with adequate and appropriate insurance. What about the building itself and the valuable contents within? “The value of a hotel property goes far beyond the bricks and bolts of the structure or the land it sits on,” says Haggis. “Specialty items, fine arts, and historic components all make a property appealing to guests and the general public. But what happens when a guest falls asleep with the bathroom faucet on and the tub overflows and damages a 200-year-old mural? 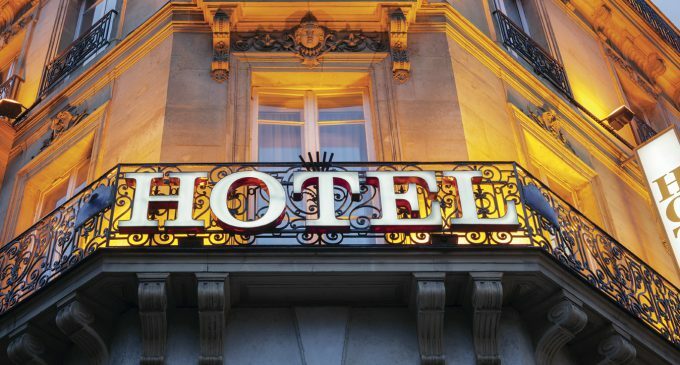 Another exposure hotels must consider is Legionnaires’ disease. If your agency is considering jumping into the hotel and resort niche, heed this advice. “Agents and brokers should have a niche within the hospitality industry, whether it’s a resort, a five-star hotel, or a low-budget facility,” says Welty. “They are completely different animals within the hospitality industry, and understanding the markets and who the players are will help an agent better define that opportunity to win or keep an account. “Joining regional or state associations is a great way to understand who owns hotels,” adds Meister. “Properties may be owned or managed by a company that’s out of the agent’s territory. Joining an association will give you contacts with local owners or management companies.